The i2k PinPoint library and command-line interfaces can work with multiple simultaneous base images, multiple simultaneous target images or both. The graphical interface currently only allows multiple base images. This tutorial example demonstrates this capability. Working with multiple base images is useful under two potential circumstances. The first is when we have multiple georectified images of the same region, with these images differing across modalities and imaging conditions, such as time of day or season of the year. 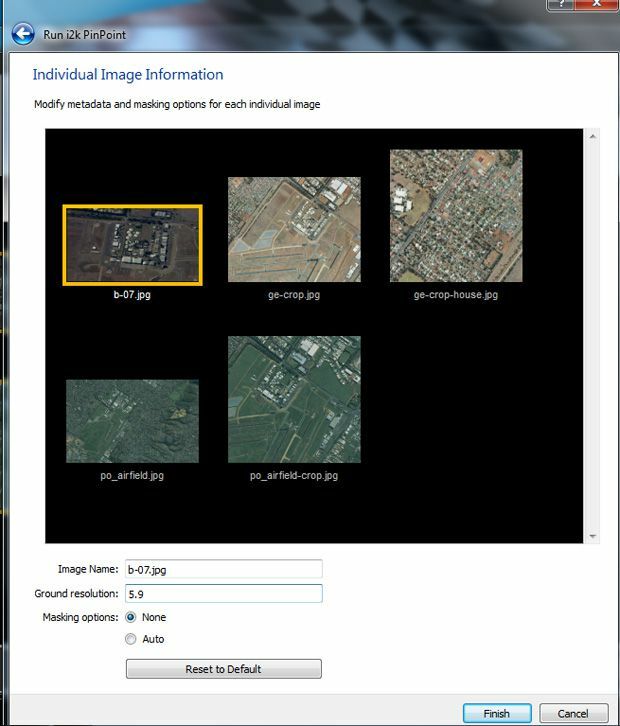 In this case, we can use i2k PinPoint to automatically choose the most similar base image to match against, producing the most accurate correspondences. The second is when we are not sufficiently confident in the location of the target image on the ground to pick a single base image. 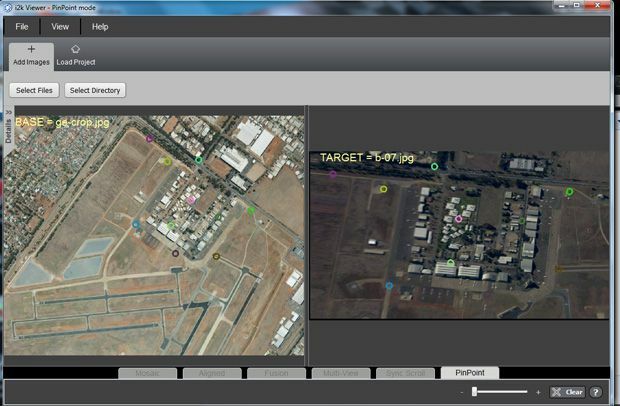 In this case, we choose multiple base images to cover the potential ground locations of the target image, and let i2k PinPoint figure it out for us. Our current example illustrates both of thee. 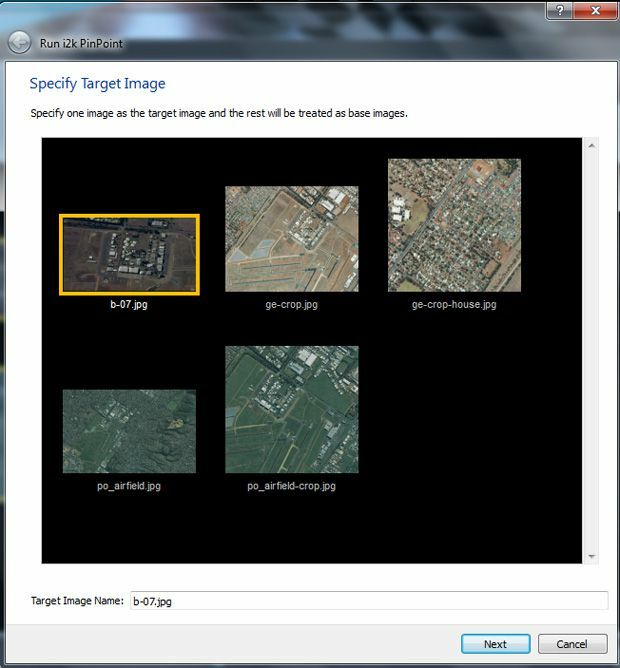 In the screenshot below we have loaded five images and selected b-07.png as the target image. The other four are the base images that PinPoint will match b-07.png against. and continuing to the others. Notice that there is a factor of almost three between the ground resolutions of the target image and one of the base images. The images vary greatly in dimension and one of the base images does not overlap the target at all. Finally, we just click the Finish button and let i2k PinPoint do its work. In the results, it has selected image ge-crop.jpg and generated the matches shown. This image is most similar to the target in appearance, despite the large three scale difference and despite the slightly oblique view.